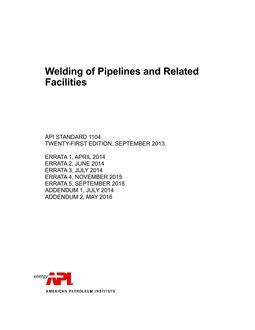 This standard covers the use of in-line inspection (ILI) systems for onshore and offshore gas and hazardous liquid pipelines. 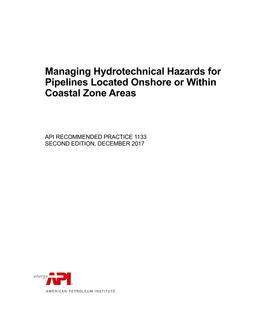 This includes, but is not limited to, tethered, self-propelled, or free flowing systems for detecting metal loss, cracks, mechanical damage, pipeline geometries, and pipeline location or mapping, The standard applies to both existing and developing technologies. 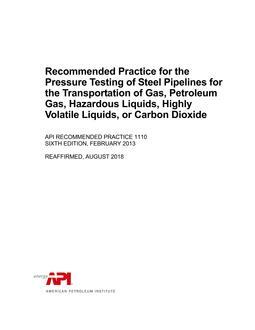 This standard is an umbrella document that provides performance-based requirements for ILI systems, including procedures, personnel, equipment, and associated software. 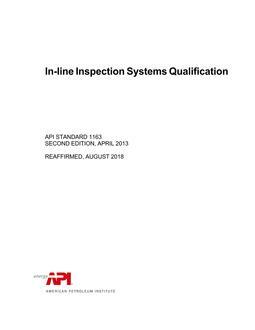 Nothing in this standard is intended to inhibit the use of inspection systems or engineering solutions that are not covered by the standard. This may be particularly applicable where there is innovative developing technology. Where an alternative is offered, the standard may be used, provided any and all variations from the standard are identified and documented.